Last year, a staggering 26 new food and agriculture funding sources launched across the globe. This year, that number has almost doubled. 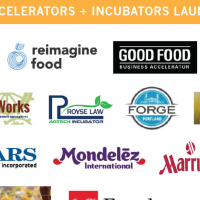 To help you navigate the sea of new food startup funding options, we’re publishing lists of the new food and agriculture focused funds, accelerators, crowdfunding sites and corporate incubators. Last week, we published our roundup of the 21 new food and ag investment funds. 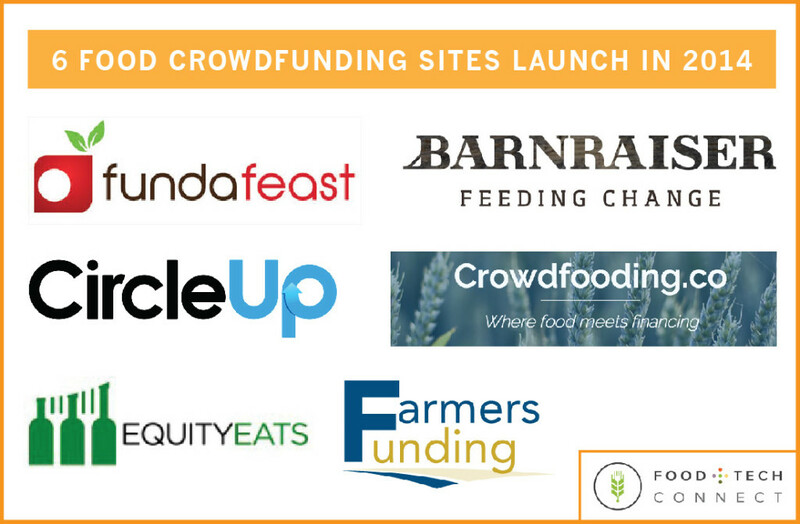 Today, we’re excited to share the food crowdfunding platforms that launched in 2014. Check them out below, and stay tuned for our accelerator and corporate incubator lists later this week. You can also sign up to have them delivered to your inbox here. Did we miss anything? Let us know in the comments below, and we’ll add it to the list. Getting ready to fundraise? 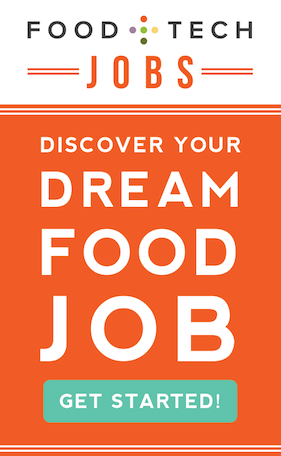 Sign up for our Food Startup Venture Fundraising Bootcamp to learn everything you need to know to raise venture capital from one of Silicon Valley’s top VCs. Register today using code “FTCif” to get 25% off the in-person or e-course. The California-based crowdfunding platform has an ambitious goal of helping the innovators who are creating a better future for food to raise $1 billion. Since launching in May 2014, 21 of the 28 campaigns run through the platform have been successfully funded, including projects for a chicken processing facility, an elementary children’s garden and a nut-free snack line. The platform takes a 5 percent cut of successfully funded projects, and its payment processing partners take 4-5 percent. Projects must be looking to raise at least $2,000. By far the most popular and well-funded of the food crowdfunding websites, CircleUp connects accredited investors with consumer product good and retail companies. This year it launched Circles, which are managed funds that allow investors to access multiple investment opportunities at a lower investment minimum. The platform aims to make the investment process easy for food entrepreneurs by connecting food startups and investors. It currently offers a matching making service tool, which features a commercial database of active food investors. The database includes information like the number of investments completed, average investment value, investment portfolio composition and investor location. 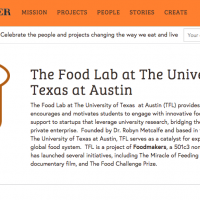 Food entrepreneurs can test the product via a free trial. According to its website, Crowdfooding is building an equity-based crowdfunding platform for food startups. The Washington D.C-based equity crowdfunding platform helps foodservice businesses like bars, restaurants and bakeries raise capital to build and sustain their businesses. Each project is limited to 100 investors, and those investors must be accredited. EquityEats is all-or-nothing, so if the project doesn’t meet it’s funding goal, the funds will be returned to the investors. Entrepreneurs have to pay a set a business support fee to raise money on the platform. Symbid launched this online investment platform for the Dutch agricultural sector. 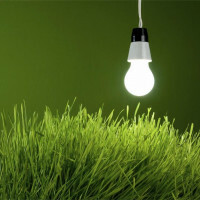 It connects Symbid’s Funding Network of 28,000 active investors with food and agriculture entrepreneurs. Entrepreneurs can present their business propositions privately to chosen investors or publicly to the entire network. It has launched 4 projects since launching in early January 2015. In addition to helping food startups crowdsource capital, the NYC-based food crowdfunding platform offers mentorship and services from partners for things like website development, legal help and product design guidance. Unlike crowdfunding giants like Kickstarter and Indiegogo, the site has a“Keep It All” policy, which mean startups can keep anything they raise, minus the site’s 4 percent fee.